Casa Escondida Bed & Breakfast is perfect for your New Mexico winter ski vacation. 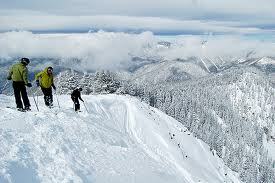 Casa Escondida B&B is surrounded by six New Mexico downhill ski areas! As a guest at Casa Escondida B&B, ski lift and lodging discounts are available. Casa Escondida B&B is located in historic Chimayo, NM (just 35 minutes north of Santa Fe, on the High Road). Opening day for our New Mexico ski resorts is officially November 23rd, 2012 but call ahead for a ski report because the opening date is dependent on New Mexico ski, snow and run conditions. While a guest at Casa Escondida B&B, you can ski Sipapu which has 41 trails and 5 lifts (keeping it simple for fantastic skiing and snowboarding and quality family time); Pajarito Mountain offers 40 trails with 6 ski lifts (a smaller mountain that delivers a big ski experience for boarders and skiers); Santa Fe Ski Area has 77 trails and 7 lifts that are groomed for greatness, with a wide variety of terrain; Taos Ski Valley serves up New Mexico’s biggest mountain, offering 110 trails and 14 lifts; Red River Ski Area has 57 trails and 7 ski lifts, 2 of which can carry you from downtown Red River to the top of the mountain; Angel Fire Resort is nestled in the beautiful Moreno Valley with 77 trails and 7 lifts. Are you seeking variety in your New Mexico skiing experience as well as, a money saving New Mexico ski deal? 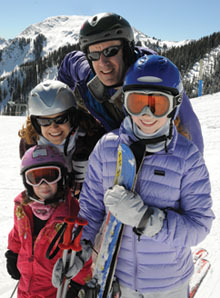 Consider purchasing a “Ski New Mexico Membership Pass”. You can buy it online, in advance of your New Mexico ski vacation. It’s quick and easy! 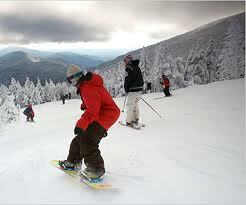 The Ski New Mexico Membership Pass is only $295. This punch card entitles Ski New Mexico members to two full-day lift tickets at each of our nine New Mexico member ski areas. That’s a lot of skiing for one low price! Although the Ski New Mexico Membership Passes have a few blackout dates, the passes are completely transferable and they represent a great ski value! If you were to purchase two full-day passes, for just the 6 downhill ski areas that surround Casa Escondida B&B, the cost would be $750 vs. $295 for the Ski New Mexico Pass. This represents a 66% discount on your ski passes! In addition to the ski pass savings, Casa Escondida B&B offers skiers a 20% room discount when you show your lift ticket (excluding holiday periods). A full, hot breakfast is included. The combination of both of these discounts, makes for a perfect ski package! If you need a day off from skiing (or perhaps the entire family doesn’t ski) Casa Escondida B&B is only 35 minutes from Santa Fe, where you can shop, visit museums and galleries, dine at fabulous restaurants and more! Want to snowshoe or are you a cross-country skier? Casa Escondida Bed & Breakfast is happy to suggest some real sweet spots for you too! How about the Edward Sargent Wildlife Refuge in Chama, NM or the Valles Caldera National Preserve (close to Los Alamos, NM) or the Enchanted Forest (Red River, NM) or the Angel Fire Resort? All of these areas are well-established Nordic ski areas with great trails. Casa Escondida Bed & Breakfast has year-round room availability. We keep our outdoor hot tub running all year too. Perfect for a long soak after a day of play in the New Mexico snow. Bring the entire family, including the furry one. 4 of our 8 guest rooms are pet-friendly. We look forward to having you as our guest!